Microneedling is an advanced approach to wrinkle and scar treatment that uses tiny needles to stimulate natural healing. It significantly tightens facial skin, promotes and stimulates the development of collagen and elastin, and "lifts" your face. 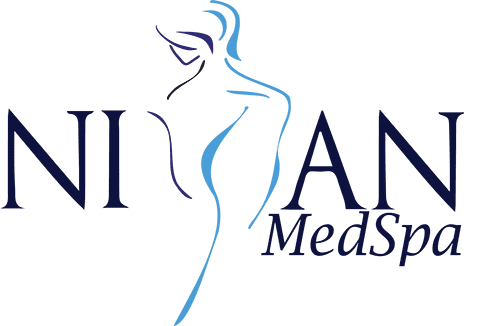 Dr. Kajal Roy, MD, has significant experience in microneedling techniques, and at Niyan Medspa in Ashburn, Virginia, her microneedling treatments require no surgery and no downtime! She can reduce wrinkles and smooth your skin to help you look and feel your best. To learn more about innovative microneedling treatments, call or book an appointment online. Microneedling is a minimally invasive cosmetic procedure that uses a device featuring an array of tiny needles to penetrate the superficial layers of your skin, creating tiny columns of controlled “damage” in the tissue. This controlled damage stimulates your natural healing responses. As your healing responses kick in, your skin produces new, healthy tissue to replace old tissue, smoothing out scars and wrinkles and improving your overall skin texture. Microneedling can also be useful in enabling skin care products to penetrate deeper layers of skin, deeply moisturizing your skin and promoting increased collagen production, so your skin continues to look and feel firmer over time. Microneedling uses very fine needles that penetrate only the upper layers of your skin. Most patients report very little or no discomfort during their treatment sessions. After treatment, your skin may appear slightly reddened, similar to the effects of a mild sunburn, but the redness will resolve soon afterward. While a single microneedling session can provide some benefits, most patients achieve maximum effects with a series of four to six treatments spaced out over several weeks. Where can microneedling be used? Microneedling helps your skin remodel naturally, promoting the development of collagen and elastin to replace damaged skin with new, healthy skin. The technique can be used on any area of your face to treat acne scars and other types of scars as well as wrinkles, lines, and textural abnormalities. Are at-home microneedling devices as effective as in-office treatments? No; although there are plenty of “skin rollers” on the market, these over-the-counter devices are not designed to penetrate the skin as deeply as the microneedling devices used at Niyan Medspa, and because they're not used by experienced professionals like Dr. Roy, they can wind up damaging your skin or even causing dangerous skin infections. To achieve the best results and to avoid infections, pain, and skin damage, microneedling should always be performed by a skilled professional with experience in applying the technique to treat different issues and different skin types. For beautiful skin with no downtime, call Niyan Medspa or schedule a microneedling appointment using the online scheduler.